This has been bugging me after some of your recent articles, but what prompted me to write was your post today Steve Hanke criticizes Basel III for the wrong reasons (see post). I think he might be right to some extent, but I believe both of you are wrong on the big picture. You implicitly assume that the problem is moving to Basel III: however, staying put on Basel I is not really an option. The problem is rather with the whole Basel project itself. Basel III is not just adjusting the numerator of the Cooke ratio, it is also going to massively inflate the denominator. The huge increases in RWAs in the trading book in particular, in both Basel 2.5 and III, will hit banks with any investment banking businesses very hard. The 2 new liquidity metrics will require banks to hold more liquidity and will act as a constraint on new on-balance sheet lending. This could severely restrict maturity transformation. Exercises on European banks 10-12% Tier 1 capital ratios at the end of 2010 or 2011 (and, yes, there are some), which superficially look like they should have no problem, end up with a deficit or barely enough capital when all this is taken into account. You are also right to bemoan the complexity and micro-management of Basel III (and II), but that is attacking the symptom rather than the cause. This second-guessing of risk management down to desk and deal level is the inevitable consequence of global risk-based capital rules. 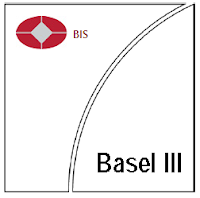 Basel I was implemented in the late 1980s to try and increase capital levels in banks throughout the major economies, and to create a more level playing field in international markets. In both these aims, it was in the short term very successful: capital levels did increase across the world economy. However, Basel I was a short term fix; it is very crude and creates perverse incentives. As well as being too lenient on securitization that does not truly transfer risk, it incentivizes banks towards trashing the quality of their loan books. For example, all corporate loans attract a 100% risk weight (i.e. require $8 of capital for every $100 lent) , regardless of whether the loan is to Microsoft (AA+), or Dynegy (CC). So lending to high margin risky names creates a better return on capital. The point that the critics often miss is that Basel I is broken. This is why we got Basel II: if we are to have risk based capital rules (and that is the big if), then we need to discriminate between credits. If we want to discriminate between credits, what alternatives are there? Well there are the Rating Agency ratings, or internal bank ratings and …. er….. that’s it. This is the point that the critics need to address: what else would you do? Sticking with Basel I is clearly not a safe option either. The situation with straightforward lending is bad enough, but it gets much worse with more complex products, but this outcome was inevitable given the starting point. If we have risk-based capital rules, then the regulations will have to try to cover the risks in more and more detail, playing catch up with the banks and other institutions, which will always evolve and adapt faster than the rules can. With each iteration, they create ever greater market distortions. And then there is the problem that these rules are applied globally, so institutions everywhere will adapt to the rules in the same way, which in a crisis will probably not be a good way. These 2 issues (a) risk-based capital requirements and (b) global capital rules are the main problem. The Basel project seemed like a good idea in the mid 1980s but the monster that is the combination of Basel II, 2.5 and III is the logical result. Simpler, nationally grounded regulation which allows banks to compete and fail without threatening everybody’s taxes may seem like going backwards but maybe progress isn’t always such a good thing.